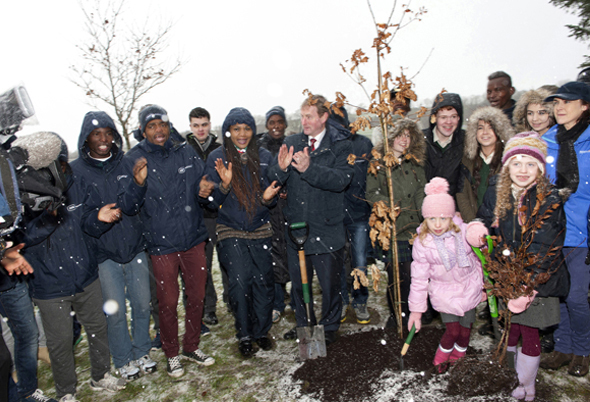 Castlebar - County Mayo - Did You Plant a Tree During National Tree Week? 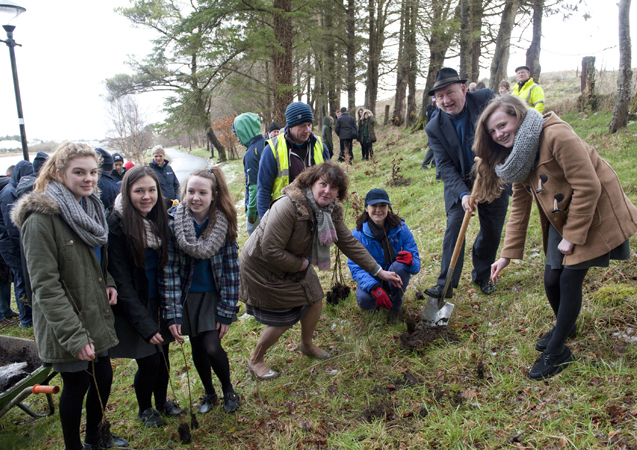 Mayo County Council and Castlebar Tidy Towns organised a Tree Planting ceremony at Lough Lannagh Holiday Village. 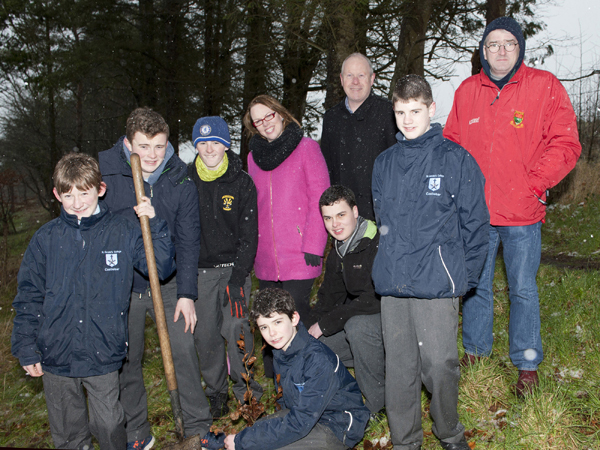 Students from St Geralds College Castlebar planting trees at Lough Lannagh with Regina Duffy [Teacher] Paddy Mahon Town Manager, Michael Baynes Chamber of Commerce. Photo Tom Campbell. Mayo County Council and Castlebar Tidy Towns organised a Tree Planting ceremony at Lough Lannagh Holiday Village. 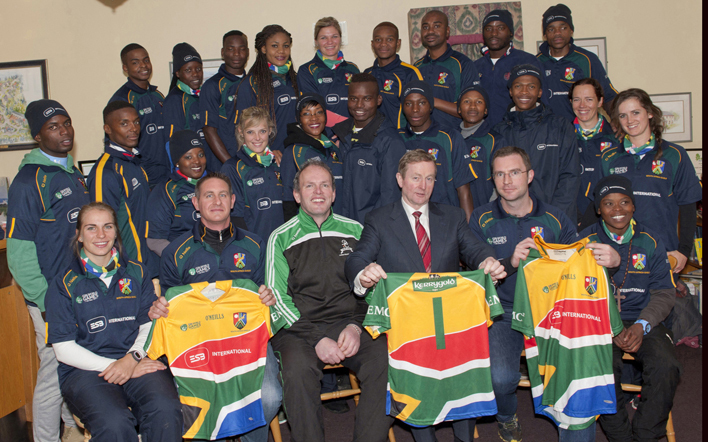 South African Gaels Foot team planted trees at Lough Lannagh and presented An Taoiseach Enda Kenny with the club's jersey, also from L to R: David Burke, Ml Gallagher, and Paul Carpenter. Photo Tom Campbell. Mayo County Council and Castlebar Tidy Towns organised a Tree Planting ceremony at Lough Lannagh Holiday Village. Mayo County Council and Castlebar Tidy Towns organised a Tree Planting ceremony at Lough Lannagh Holiday Village. 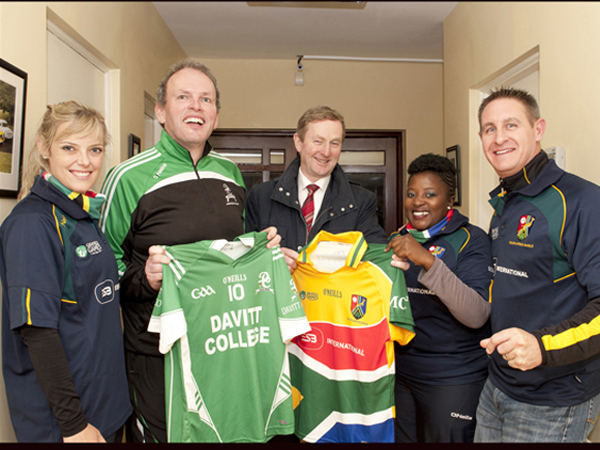 An Taoiseach Enda Kenny planted several trees also in photo Students from Davitt College, South African Gaels Football Team also planted trees and entertained the crows, as it snowed. Photo Tom Campbell.